How To Get Rid Of Dark Neck With Lemon? Dark patches and skin discoloration on the neck is a common problem among many people. These dark patches are caused by a skin pigmentation disorder called acanthosis nigricans. Apart from that, excessive sun exposure and aging lead to dark neck. This skin condition is more prevalent among obese individuals and those who have diabetes. It can be treated naturally with the help of certain natural ingredients such as lemon that works as a natural bleaching agent and lightens the skin tone gradually. 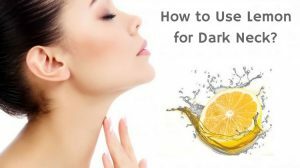 Is Lemon Really Helpful to Get Rid of Dark Neck? Citric acid present in lemon juice possesses natural bleaching properties that lighten the dark patches on the neck. Vitamin C present in lemon juice is a powerful antioxidant that protects the skin cells against free radical damage, boosts collagen production and promotes skin cell renewal. The cleansing and exfoliating properties of lemon juice break down the layer of dead skin cells and remove them, which help to lighten the dark patches over time. How to Use Lemon for Dark Neck? Here are various methods of using lemon for reducing the dark discoloration on the neck. You can follow any method regularly. Cut a lemon into 2 halves and squeeze out the juice from one half of the lemon. Soak a cotton ball in the lemon juice and apply it all over your neck, specially the darkened areas. Leave it on for 15 minutes and then wash off with water. Alternatively, rub a lemon slice on the dark neck for a minute and let the juice dry for 15 minutes. Rinse off with water and pat dry. Note – Those with sensitive skin should use lemon juice in diluted form mixed with equal parts of water. The enzymes present in honey nourish, clean, hydrate and renew the skin. It also reverses the damage caused by the over sun exposure. Take a tablespoon of freshly squeezed lemon juice in a bowl. Add a teaspoon of honey to it and mix with a spoon. Soak a cotton ball in this mixture and wipe it all over your neck. Leave it on for 15 to 20 minutes and then rinse it with water. Repeat this remedy once on a daily basis. Sugar contains glycolic acid, a type of alpha hydroxy acid (AHA) that helps to lighten dark patches from the neck and promote cell turnover. It also helps to treat sun-damaged skin. In addition, the sugar granules remove the accumulated dead skin cells from the skin. Take 2 tablespoons of fresh lemon juice in a bowl. Apply this mixture to your neck and massage with your finger tips for 8 to 10 minutes. Leave it on for another 15 minutes and then wash off with water. Repeat this process 3 to 4 times a week. Anti-inflammatory properties of rosewater help to treat dark discoloration of the neck caused by sun damage. Its antioxidant properties promote regeneration of the skin cells and reveals younger-looking skin. Take a tablespoon of fresh lemon juice and add a tablespoon of rosewater to it. Mix it with a spoon and soak a cotton ball in this mixture. Apply it generously all over your neck and leave it on for 30 minutes. Repeat this remedy 2 times in a day. Baking soda acts as a mild exfoliant that cleanses the skin and removes dark patches caused by hyper pigmentation. Make a paste by adding some water to 2 tablespoons of baking soda. Add 1 tablespoon of lemon juice to it and mix it with a spoon. Apply this paste evenly on your neck. Let it dry on its own and then wash off with water. Olive oil contains three powerful antioxidants – vitamin E, polyphenols, and phytosterols that help to treat sun-damaged skin, lighten skin discoloration and dark patches. Combine a tablespoon each of extra virgin olive oil and fresh lemon juice in a bowl. Stir it with a spoon and soak a cotton ball in this mixture. Apply it generously all over your neck and massage with your finger tips for 5 minutes. Leave it on for 15 to 20 minutes and then wash off with lukewarm water. Repeat this remedy once daily for few weeks. Enzyme catecholase present in potatoes have natural bleaching ability that helps to lighten the dark patches on the neck with regular application. Take a medium-sized potato and grate it finely. Take the grated potato pulp in a piece of cheesecloth and squeeze out the potato juice. Add a tablespoon of lemon juice to the potato juice and mix it with a spoon. Soak a cotton ball in this mixture and apply it all over your neck. Leave it on for 20 minutes and then wash off with water. Repeat this remedy 1 to 2 times daily for few weeks. Lactic acid, a type of alpha hydroxy acid present in yogurt dissolves the layer of dead skin cells and lightens the dark patches on the neck. It also heals skin discoloration caused by sunburn. Take a tablespoon of plain yogurt in a bowl and whisk it with a fork. Add a tablespoon of lemon juice to it and mix it well. Apply this mixture all over your neck and massage for 5 minutes. Leave it on for another 15 to 20 minutes and then wash off with lukewarm water. Follow this process once in a day for a couple of weeks. The soothing and healing properties of cucumber help to repair the skin cells damaged by inflammation and sunburn. It acts as a mild cleanser that removes dead skin cells and helps to correct skin discoloration. Take 1/2 of a medium-sized cucumber and grate it. Add a tablespoon of lemon juice to the grated cucumber and mix it with a spoon. Apply this mixture all over your neck and massage gently for 5 minutes. Leave it on for 15 to 20 minutes and then wash off with water. Follow this remedy once daily for few weeks. High level of vitamin C present in orange peel rejuvenates the skin cells damaged by free radicals, while its calcium content removes the worn out skin cells and promote cell regeneration. Take 2 tablespoons of orange peel powder and add some water to it to make a paste. Add a tablespoon of fresh lemon juice to it and mix with a spoon. Apply this mixture to your neck and massage for 8 to 10 minutes. Leave it on for another 20 minutes and wash off with water. Repeat this process once in a day for few weeks. People with sensitive skin should not apply raw lemon juice topically. The highly acidic nature of lemon juice can cause skin irritation, inflammation, redness and burning. So, it is recommended to dilute the lemon juice with equal parts of water before applying it to the skin. Certain natural oils in lemon juice react with the UVA rays of the sun and cause a phototoxic reaction that leads to redness, burning and blisters. So, it is recommended to avoid sun exposure for at least 4hours after trying out the process. Always use fresh lemon juice for these remedies because the concentration of vitamin C in lemon juice reduces with time. Make sure to cleanse, exfoliate and moisturize your neck regularly just as you do for your face. Use a soft bristle body brush to scrub your neck 2 to 3 times a week. This will help to remove the dead skin cells from the neck and lighten the dark discoloration. Don’t forget to apply sunscreen to your neck as well whenever you go out in the sun. Have you tried any of these remedies before for lightening dark neck? Then share it with us in the comments section below. 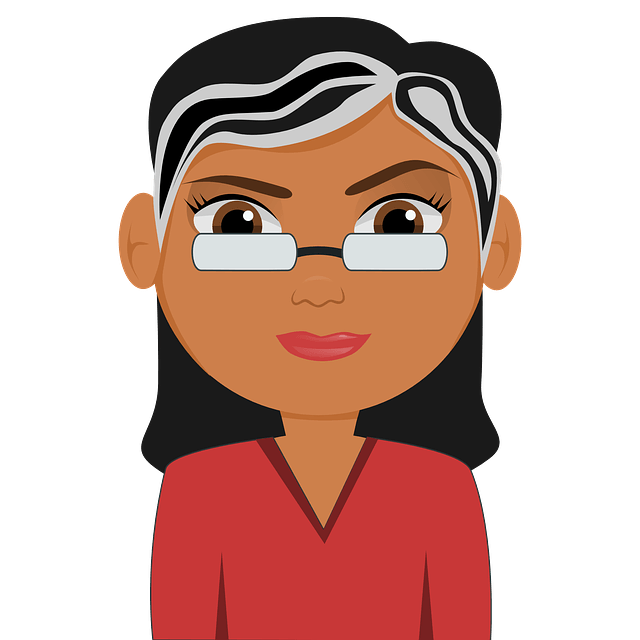 Don’t forget to share your suggestions, tips and remedies with us.